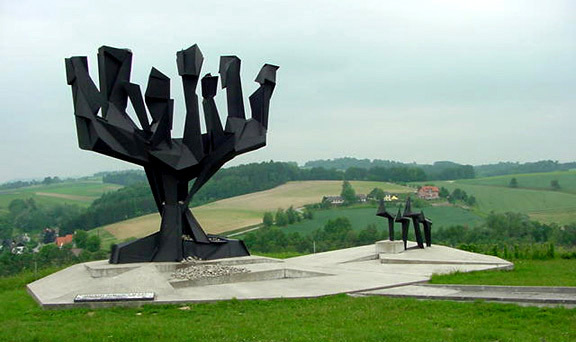 A 71-year-old doctor has been convicted of Holocaust denial in an Austrian court. You can read about it in the news here. On Thursday a jury at Linz Court [in Austria] unanimously agreed that a letter the doctor had sent to the local council and the administration of the Mauthausen concentration camp memorial site proved that he believed that the gas chambers and the systematic genocidal killing had been made up. The man, from the Mühlviertel region, wrote that he became convinced after visiting the Mauthausen site that the gas chambers had never existed and that therefore the Holocaust “must be a lie made up by Zionist bankers, who are still up to their mischief in Israel and the ‘Arab Spring’”. He went on to claim that Hitler and Germany were not to blame for WWII and that Austria would be forever burdened with the “Holocaust cudgel”. His lawyer argued that the 71-year-old was not a Nazi but merely a “troublemaker” who had a “particular character” and was “constantly trying to get to the bottom of things”. 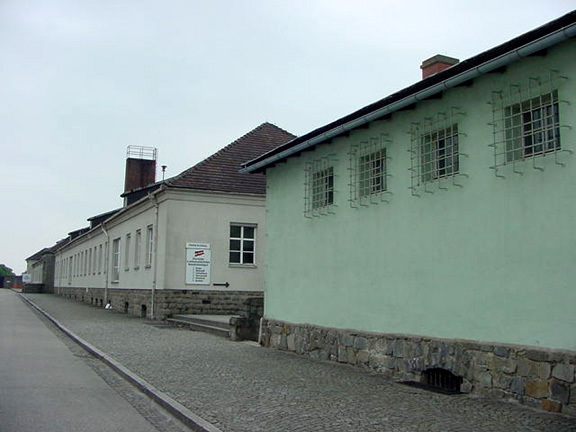 The Mauthausen gas chamber was located in the basement of the prison building, which is the green building on the right in the photo above. The white building on the left was the hospital building. 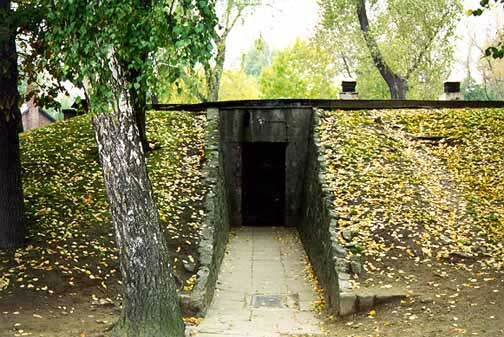 In his book entitled The 186 Steps, Christian Bernadac included the statements of several former prisoners which were gathered by Pierre-Serge Choumoff, a former prisoner at Gusen, after revisionists began to deny that there was a gas chamber at Mauthausen. Choumoff was an engineer who had post-graduate degrees in mathematics; he was the author of numerous scientific articles. While he was a prisoner at Gusen, Choumoff was assigned to work in the arms factories of Rüstung Steyr, Daimler and Puch, which were in the immediate vicinity of the Gusen camp. He also served as an interpreter and a secretary at the Gusen camp. In the last week of the war, Choumoff was one of the Gusen prisoners, who were evacuated to the main Mauthausen camp, where the gas chamber was located in the shower room. In his account of the liberation of Mauthausen, the Red Cross representative, Louis Haefliger, confirmed that the “annihilation” of the prisoners in the gas chamber continued until Commandant Ziereis fled the camp on the night of May 2-3, 1945. Apparently the Nazis were gassing as many of the prisoners as they could, while at the same time, the Red Cross was allowed to take selected prisoners out of the camp. Finally, a day or two before our transfer to Mauthausen on Saturday, April 28, I took a chance in giving the information (about the gassings) to one of our Yugoslav comrades, G. Milikitch. So I can certify that I was fully aware that gassings were taking place at Mauthausen during this final period. Up until the last minute, a number of efforts were made by the international Resistance organization of Mauthausen prisoners to save the men who had been confined to camp 3. After receiving the news, transmitted by V. Busek, a particularly effective effort was made to deal with Schutzhaftlagerführer Bachmayer. S. Krukowski reports on this in his book Mauthausen (Stefan Krukowski, Mauthausen, published in Warsaw in 1966). The lead in this was taken by a Polish prisoner, Doctor W. Czaplinski (No. 279), who had sometimes taken care of Bachmayer’s family. 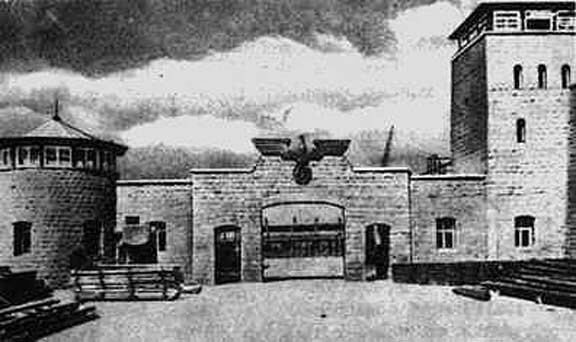 This initiative is supposed to have contributed to the return of the prisoners in camp 3 to the Krankenlager, instead of going to the gas chamber. Further efforts were organized on behalf of those whose execution appeared imminent, on other grounds. Outstanding among these were the thirty-four Austrian Resistance fighters, whose final tragedy was recounted by Marsalek (Hans Marsalek: “Die letzten Tage im KZ Mauthausen” published in Der neue Mahnruf in April 1970 in Vienna). Later the S.S. called the prisoners out from block 11, and Ziereis threatened them: “You have seen everything. If there is a breach of discipline, you go to the Krematorium.” One of the Kapos of the Krematorium kommando, whom Falo knew slightly, told him afterwards that they wanted to speed up the action, and that there was a real massacre with swinging axes so that they could pile more victims into the gas chamber. 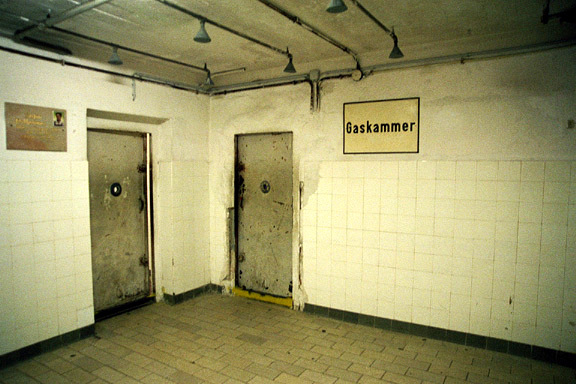 What is the evidence that the shower room at Mauthauen was a gas chamber? When I visited Mauthausen, there was a sign in the shower room which says that the room was a gas chamber. What more proof do you want? 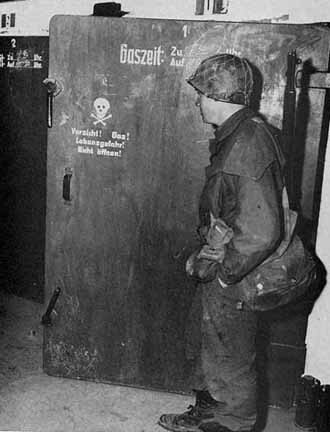 What is the evidence that the shower room at Mauhausen was NOT a gas chamber? 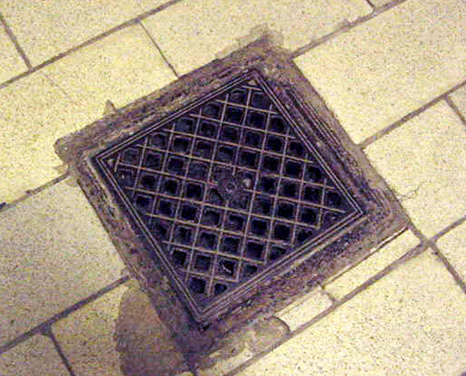 The photo below shows a floor drain. If the shower room had been used to gas prisoners, the poison would have gone down the drain, and poisoned everyone in the camp. The defendant pleaded not guilty and said that he had only been trying to uncover the truth. He said that whilst he was at Mauthausen he noticed that there was no gas pipe leading to the gas chamber, and he could find no explanation of why this was so. The head of the Mauthausen Memorial appeared as a witness and described in detail to the 71-year-old how SS men had removed the gas pipes shortly before the camp was liberated in 1945. He said that historic records proved this was the case, and that it was clearly visible that the area where the pipes had been had been plastered over. Gas pipes? No, no, no! Zyklon-B, the gas that was used by the Nazis for gassing prisoners in shower rooms, was in the form of pellets, which could not go through pipes. After the American liberators of Dachau found this out, they built little windows on the outside wall of the Dachau “gas chamber” and claimed that the Zyklon-B pellets had been thrown into the “gas chamber” through these two little windows. This display of Zyklon-B gas pellets, that were allegedly used to gas prisoners in the concentration camps, shows that the gas was in the form of pellets which could not go through “gas pipes.” There were no “gas pipes” that were ripped out of the shower room at Mauthausen. 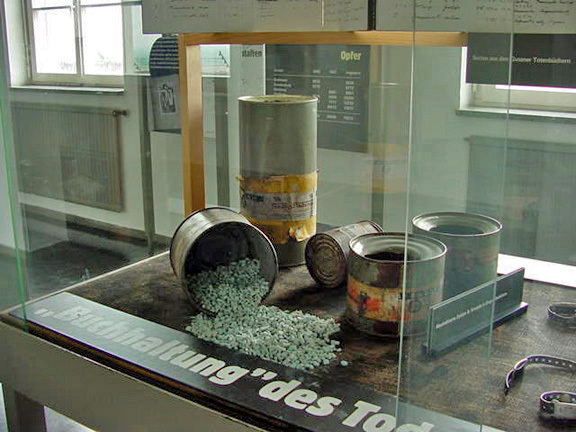 The Zyklon-B pellets were used at Mauthausen, and at all the other camps, to disinfect the clothing of the prisoners, in order to kill the lice that spreads disease. It appears from the construction that this facility was constructed as, and further was utilized only as, a shower room. 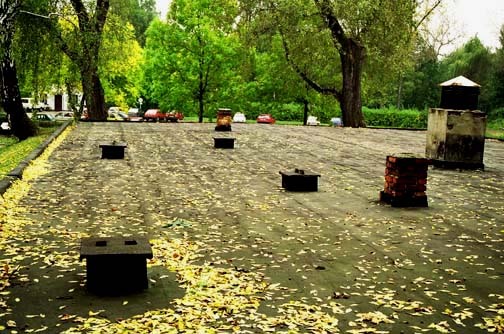 The installation has no provision to prevent gas leakage, the lighting is not explosion proof, the floor drain would allow leakage into the sewer system and there is no provision for inletting gas or for exhausting the air gas mixture after an execution. Further, there are steam heating pipes (radiator) on the northwest wall of the chamber, which would most likely result in an explosion if hydrogen cyanide gas were deposited in the room. Additionally, all shower heads are working and the overall design is unquestionably that of a shower room. The morgue, which is in the basement of the Mauthausen prison building, has been recently turned into museum space where there are exhibits. 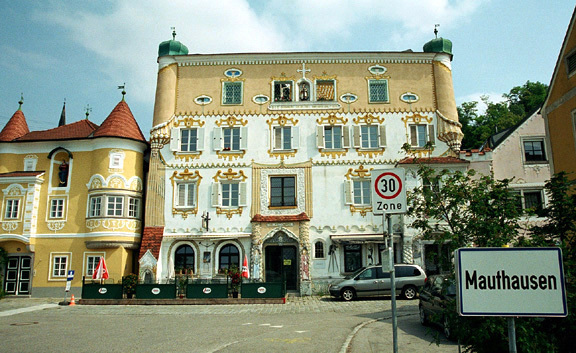 I have visited Austria several times. The Austrian people are very friendly and polite. For the life of me, I cannot understand why they are acting crazy in putting so-called “Holocaust deniers” on trial. There was no “death camp” at Mauthausen, and no one was gassed there. Get over it! The greatest honor, that an American veteran of World War II can have, is to be recognized as a LIBERATOR of a Nazi concentration camp. The rules that govern this honor say that, to be a liberator, the soldier must have arrived at the camp within 48 hours of the entrance of the first soldiers into the camp. 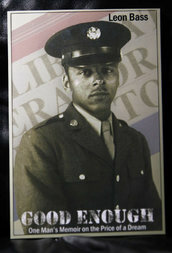 Leon Bass, an African-American soldier in the U.S. Army in World War II, who claimed this honor, has died at the age of 90. You can read the story on the online Philadelphia Inquirer here. As a 20-year-old U.S. Army soldier in the all-black 183d Combat Engineers Battalion, Leon Bass arrived at the Nazis’ Buchenwald extermination camp just one day after it had been liberated in April 1945. Bass saw the living skeletons of those who survived. The camp reeked of burned human flesh. The torture chambers were still covered in blood. After the war, Bass left the Army as a sergeant, returned to Philadelphia, and eventually became principal of Benjamin Franklin High School. He earned a doctorate in education from Temple University. On his daily TV show on Fox News yesterday, Neal Cavuto talked about the recent tragedy when a German pilot deliberately crashed a plane, killing 150 innocent people. You can read the full text of what Cavuto said here. Something turns [killers], changes them, perverts them. But what? When? Why? None of these questions are new we’ve asked them time and again before. About how these otherwise ordinary-looking men going through airport security, would later fly the planes they boarded into buildings. 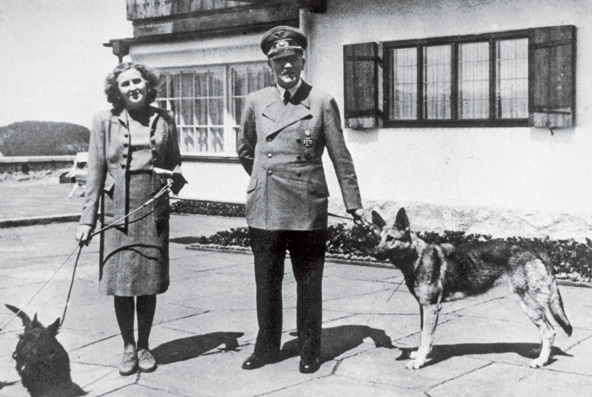 Or how this slightly odd fellow [Hitler], who apparently loved dogs, could happily butcher millions of human beings. I was appalled that Cavuto compared a German pilot, who was suffering from mental illness, to Hitler. Cavuto is suffering from MS, so he should have some sympathy for people who are suffering from a disease. 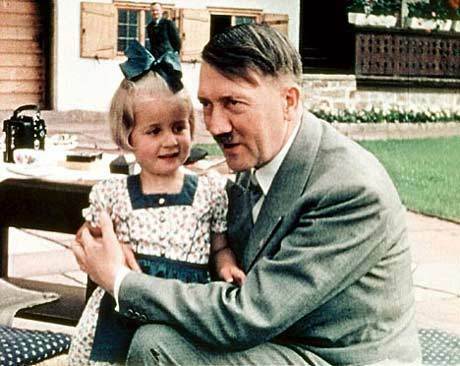 Hitler was suffering from Parkinson’s disease, but he did not have mental illness, so there is no comparison. Hitler believed that Jews were more likely to suffer from mental problems, so he did not want ethnic Germans to mate with Jews. The title of my blog post today is a quote from a recent news article. Most Israelis are not Holocaust survivors or children of survivors. The majority are immigrants, or the children of immigrants, from Arab or African countries. Their relatives were not gassed in Auschwitz. Netanyahu occasionally invokes aspects of the Holocaust – typically to contrast the self-sufficiency of Israel with the helplessness of Europe’s Jews under Hitler. It is precisely the Allies’ abandonment of Europe’s Jews that many Israelis today regard as relevant to their situation. Israelis do not imagine themselves as comparable to captives being herded into gas chambers. But they have a legitimate concern that the international community could abandon Israel in some future hour of need. So where DO the survivors of the Holocaust live? Probably, most of them live in America, Canada and Germany. This website http://www.jpost.com/Israel-News/Holocaust-survivors-plead-Help-us-hold-Passover-Seder-395280 tells about the Holocaust survivors in Israel who need money and donations in order to hold the Passover Seder. The news article, cited above, says that 50,000 Holocaust survivors in Israel are living in poverty. So which is it? Are there Holocaust survivors in Israel or not? And why can’t the Jews in Israel take care of their own people? “We are missing food, we are missing a party and presents like we receive for every holiday and so many little things that are so important,” a participating survivor says. The Jews now have their own country, thanks to Hitler and the Transfer Agreement, but they can’t take care of their own people, and need constant donations from other countries. Israel is a state armed with nuclear weapons and in the grip of a siege mentality due to the collective trauma of the Jewish people that has never been healed. What makes this siege mentality dangerous and pathological is that it prevents Israel from recognizing how its own actions have contributed to the despair, rage, and continuing resistance of the Palestinian people and to its own growing Isolation in the world. There is a sickness rampant in Israeli society whereby most Israelis see themselves as the ultimate victim, an innocent victim in a world that hates them and wants to annihilate them. This then leads to a sense of pathological entitlement whereby because they believe they have been perpetually wronged and abused, they may act with impunity to do whatever they want to secure their own safety, regardless of how it harms or wrongs others. The picture below is shown at the top of a news article about Jews joking about the Holohoax Holocaust, which you can read in full here. The following quote is a Jewish joke, which is included the news article, cited above. Hitler and Goering were arguing about the Jews, Goering stating that they were quite clever people and Hitler vehemently denying they were any such thing. Finally Goering told Hitler that they should go out in the city and Goering would show Hitler it was true. Hitler agreed, so they disguised themselves and went out on the street. Goering took Hitler into a shop, went up to the counter, and asked the clerk: “Do you have any left-handed teacups?” The clerk stared at Goering for a moment and then said no, mein herr, I do not. The two left with Hitler complaining that he did not understand what the point of this was and Goering telling him to be patient. They went to another shop and Goering gave the same act: “Do you have any left-handed teacups?” The clerk stared and shrugged his shoulders. The clerk smiled graciously, went into the back room and made a show of rummaging around, brought out a saucer and teacup, set down the saucer, and carefully placed the cup with the handle pointed so Goering could pick it with his left hand. “There you are, mein herr!” the clerk said. This joke illustrates the Jewish belief that the Jews are smarter than the stupid Germans, and particularly smarter than Hitler. But what did Hitler really think about the Jews? Wir sind uns im klaren, daß dieser Krieg ja nur damit enden könnte, daß entweder die germanischen Völker ausgerottet werden, oder das Judentum aus Europa verschwindet. Ich habe am 1. September 1939 [sic] im Deutschen Reichstag es schon ausgesprochen. . . daß dieser Krieg nicht so ausgehen wird, wie die Juden sich es vorstellen, nämlich daß die europäischen arischen Völker ausgerottet werden, sondern daß das Ergebnis dieses Krieges die Vernichtung des Judentums ist. Zum erstenmal werden nicht andere allein verbluten, sondern zum erstenmal wird diesesmal das echt altjüdische Gesetz angewendet: Aug’ um Aug’, Zahn um Zahn! We see clearly that this war could only end with the extermination of the Germanic peoples, or that Jewry must disappear from Europe. I already said it on September 1, 1939 [sic] in the German Reichstag…that this war will not end the way the Jews have foreseen it, namely that the European Aryan peoples will be exterminated; rather the result of this war will be the annihilation of Jewry. For once all the others will not bleed to death alone; for once the ancient Jewish law will come into play: an eye for an eye; a tooth for a tooth. Das bolschewistische Ungeheuer, dem sie die europäischen Nationen ausliefern wollen, wird sie und ihre Völker dereinst selbst zerfetzen. Der Jude aber wird nicht die europäischen Völker ausrotten, sondern er wird das Opfer seines eigenen Anschlages sein. The Bolshevist monster, to which they want to deliver the European nations, will someday tear them and their people to pieces. The Jew will not however exterminate the European peoples, rather he will be the victim of his own plot. On my second trip to Auschwitz-Birkenau in 2005, I was walking down the main road through the camp when I heard a man, who looked Jewish, laughing about the poster which is displayed at the head of a road which bisects the camp from north to south. 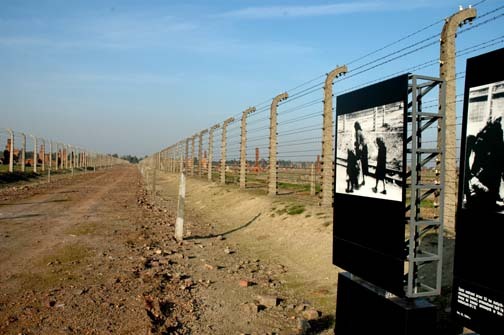 The famous photo above was taken on the road that runs north and south through the center of the Birkenau camp. 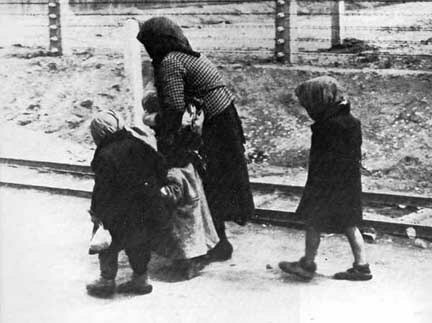 The woman and her children are walking to the north side of the camp where two gas chambers, called Krema V and Krema IV, were located. The tracks shown in the photo are narrow gauge tracks used to carry building materials to the new section of the camp, called “Mexico,” where barracks were being built for 50,000 more inmates at Birkenau. I was appalled that a Jewish tourist would be laughing about the Holocaust. Now I know why he was laughing: he was laughing all the way to the bank. 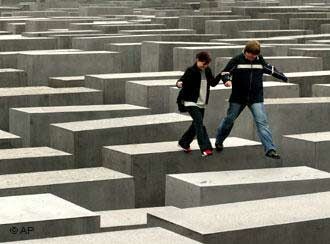 Germany has paid billions in reparations for the Holocaust, but it will never be enough. What really happened to the Greek Jews during the Holocaust? Some of them were sent to Bergen-Belsen, which was an EXCHANGE CAMP. Neutral Camp (Neutralenlager) at Bergen-Belsen Several hundred Jewish prisoners from neutral countries, such as Spain, Portugal, Argentina and Turkey, lived in this camp. These prisoners did not have to work and conditions were tolerable up until March 1945, according to the Memorial Site booklet. According to Eberhard Kolb, a transport of 441 Jews from Salonika arrived in August 1943, including 367 “Spagnioles” or Sephardic Jews, who had been living in Greece for a long time, but were nevertheless Spanish nationals. This group was sent to Spain in early February 1944, and from there they were sent to an internment camp in North Africa, from which they were finally sent to Palestine. The 74 other Greek Jews were put into the Star Camp. Kolb also wrote that 155 Spanish Jews and 19 Portuguese Jews were arrested by the Nazis in Athens, Greece in March 1944 and transported to Bergen-Belsen where they remained until the camp was liberated. Some 60,000 Greek Jews – about 75 percent of the country’s Jewish population at the time – perished in the Holocaust, according to the Yad Vashem Holocaust museum and research center. The Nazis deported more than 45,000 from Thessaloniki to the Auschwitz concentration camp in Poland. The demand by the Greek Jewish community comes at a time when Greece’s new Prime Minister Alexis Tsipras, following in the footsteps of other past Greek governments, is also attempting to recover damages from Berlin over 476 million-reichsmark (€6 billion) loan to Nazi Germany. The occupying Nazis in 1942 forced Greece to deliver them the interest-free loan, valued at 568 million reichsmark (€7.1 billion). 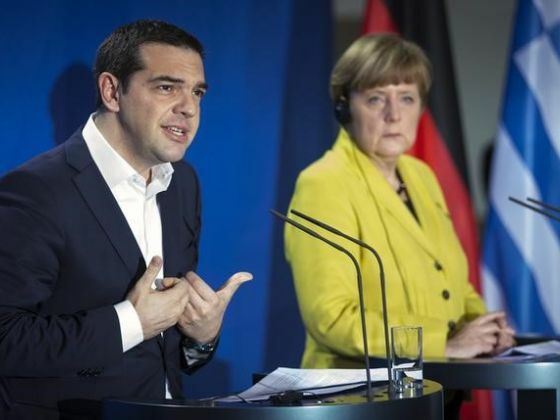 “It’s not a material matter, it’s a moral issue,” Tsipras told reporters on Monday following a meeting with German Chancellor Angela Merkel Berlin. When will the Germans be allowed to stop paying reparations for the Holocaust? When the last ethnic German has died and there is no longer a country of Germany! 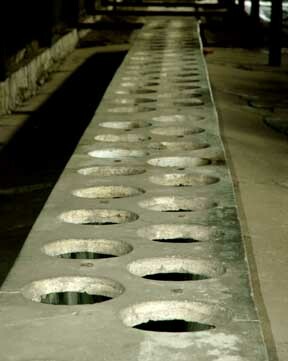 I searched and searched to find a photo of these toilets, but found nothing until I searched my own website and found the photos, shown below, which I took in 2005. 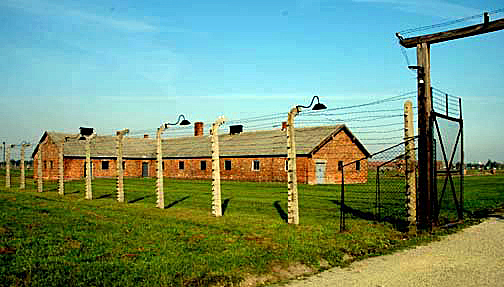 The quarantine barracks at Auschwitz-Birkenau are the only barracks that are shown to tourists today. The other wooden barracks have been mostly torn down. 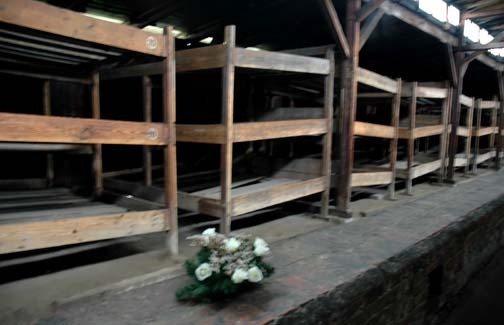 TO stand inside wooden barracks designed for 52 horses, but used to house over 400 female prisoners, is to be overwhelmed by the horror of Auschwitz. 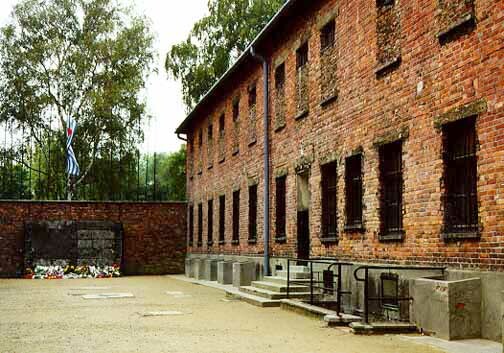 The quote above refers to the quarantine barracks that are just inside the Auschwitz-Birkeanu camp; these barracks are located to the right of the gate tower, as you enter the camp. These barracks were NOT used for “400 female prisoners.” The women’s camp is shown in my photo below. Apparently, these students were not told that the quarantine barracks were set up to house newly arriving prisoners until it could be determined whether they had any diseases that could spread throughout the camp. The purpose of these barracks was to save lives. The holes in the quarantine barracks were like the holes in an outhouse. Remember that this was back in the 1940ies when many homes, even in America, did not have indoor plumbing. Typically, an outhouse was not cleaned in the old days; instead the outhouse was just moved to a new spot when it was full. The Germans were just trying to be efficient by cleaning the huge outhouse in the quarantine camp. Today’s British students are affronted by the horror of an outhouse at Birkenau, instead of flush toilets. But do the Nazis ever get credit for trying to save lives by having quarantine barracks? No, of course not. 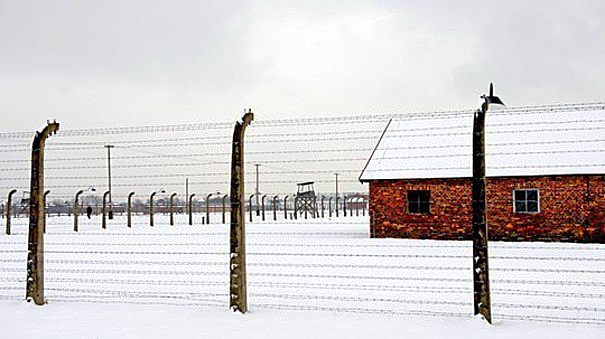 On February 25 Alice Windsor of the lower sixth and I joined a group of more than 200 [British] students and teachers from schools and colleges across the West Midlands [in the UK] to visit the Auschwitz-Birkenau concentration camp with the Holocaust Educational Trust (HET). This was set up over 10 years ago on the premise that ‘hearing is not like seeing’ and that to grasp the scale of the Holocaust it is necessary to visit one of the Nazi [concentration] camps. We saw the infamous “Block 11” which was the prisoner barracks where innocent people believed to have been plotting to escape were taken. If it is possible to imagine even worse conditions this was it! For example imagine a hatch the size of an oven door on the floor. Prisoners were made to crawl through and stand in a space no larger than a chimney, for up to 20 days in the pitch black with no food or water. 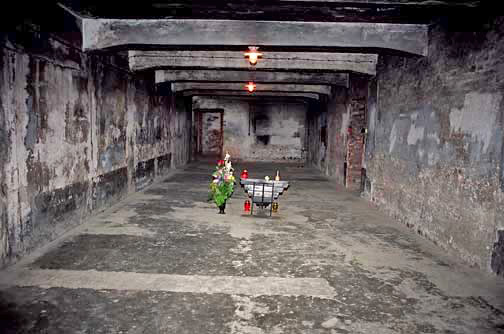 I took the photo above when I visited the Auschwitz 1 camp in 1998, accompanied by a private tour guide. We were the only people in the Block 11 building that day. 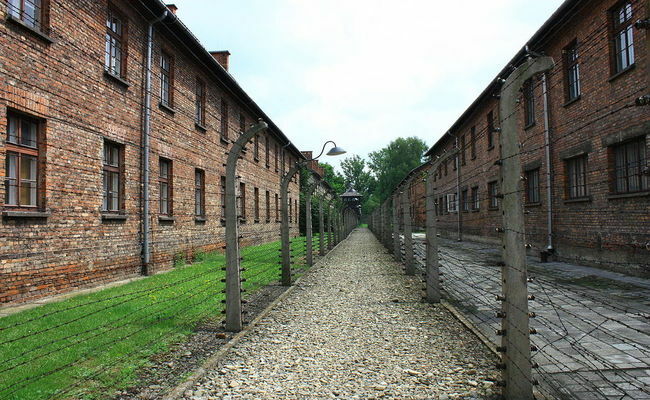 The second time that I visited the Auschwitz 1 camp in 2005, there were so many tourists that we were not allowed to see the RECONSTRUCTED standing cells up close, nor to take photos. It appears that the standing cell story has gotten worse over time. 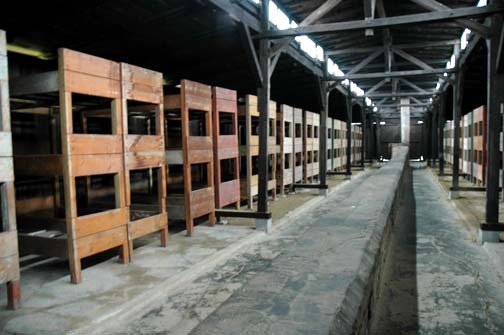 Now tourists are told that prisoners had to stand in these cells for 20 days. How were the dead bodies removed after the prisoners died in these cells? 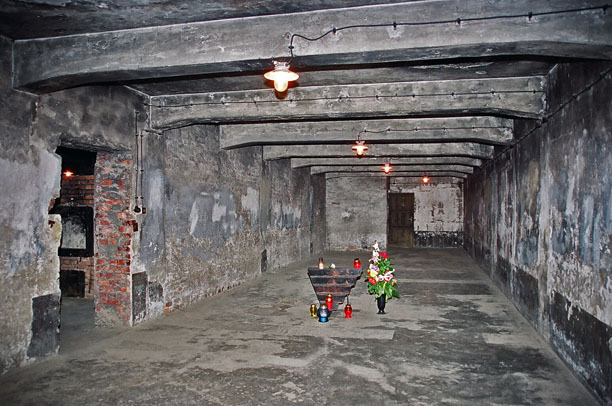 One of the worst experiences for [one of the students] personally was visiting a gas chamber; here over 2,000 men, women and children were slaughtered daily. Alice and I were both distressed to see a child’s bare footprint embedded in the cement. As you enter this haunting room which smelt of death you could see nail scratch marks on the walls where people tried to literally dig themselves out. You almost hear their silent screams. I don’t understand this. There was a child walking around in wet concrete in the gas chamber in the main camp? Yet somehow, the child made only one footprint? 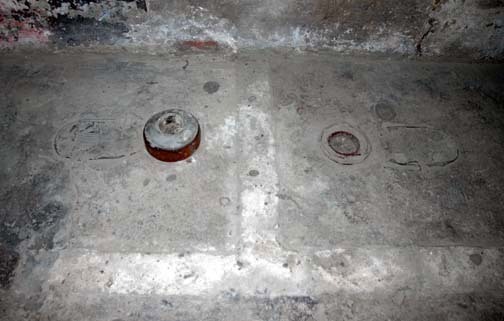 The photo above shows a floor mark where a wall was added to the gas chamber in the main Auschwitz camp, when it was converted into a bomb shelter for German soldiers. Do you see a child’s footprint anywhere? 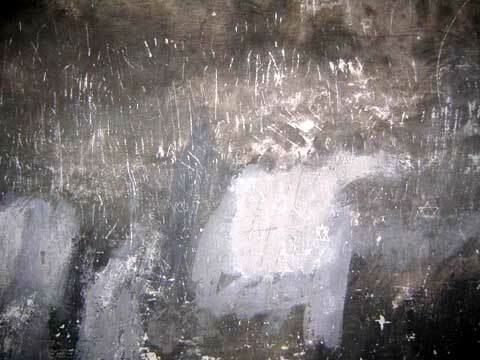 The photo above, which shows two toilet drains, in a room adjoining the Auschwitz gas chamber, might have a baby’s footprint in the concrete floor, but I didn’t see it. According to a news article, which you can read in full here, Holocaust survivor Eva Fahidi has a new goal. Last year, [Eva Fahidi] was bitterly disappointed when one of the few surviving Auschwitz guards indicted at this late stage by German justice died in Pennsylvania, a day before an extradition order was to be executed. The deceased man, Johann Breyer, was born in her year, 1925, and she had wanted the chance to look him in the eye at trial and ask how he could have stood on the ramp. Now the German authorities are preparing to try another Auschwitz camp guard, Oskar Gröning, 93, in April. Her fervent wish is that he not die before her. Note the prisoner, wearing a striped uniform, who is standing on the right. He is a Sonderkommando Jew who helped the Germans at Auschwitz, when the trains arrived. 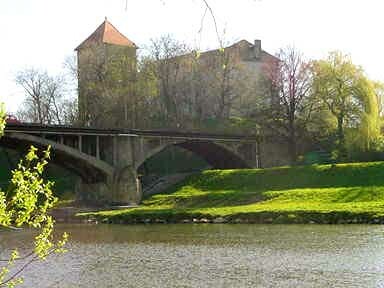 Typically, the low level SS men did not work at the ramp where the Jews arrived. When [Eva] was 18, she was, as she put it, “ripped off the school bench to be deported to Auschwitz-Birkenau,” one of an estimated 437,000 Hungarian Jews rounded up outside Budapest and dispatched to death camps in just 57 days in 1944. 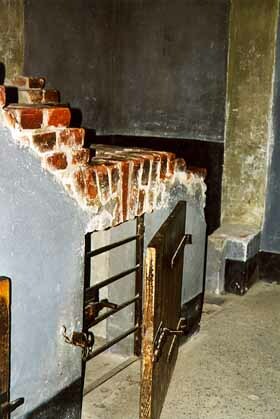 The reason that the crematoria ovens could not keep up with burning the corpses was that there were two typhus epidemics at Auschwitz-Birkenau. In spite of all the effort to prevent typhus at Auschwitz, there were two serious epidemics, one in the Summer of 1942 and another in the Summer of 1943. 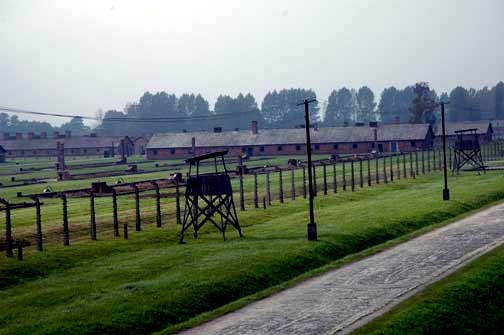 On July 23, 1942, Commandant Hoess ordered the whole Birkenau camp to be quarantined for fear that the epidemic would spread. On July 7, 1943, he again decreed that the Birkenau camp was off-limits to the German soldiers who were the camp administrators. Allegedly, the homicidal gassing of the Jews continued even while the camp was quarantined because of typhus. Eventually, typhus spread to the concentration camps in Germany in December 1944 and this caused many deaths in the last months of the war, particularly in the Bergen-Belsen camp where 35,000 prisoners died in only two months time. Half of all the deaths in the Dachau concentration camp were in the last six months of the war when a typhus epidemic was out of control there. One method that was allegdly used to end the typhus epidemics at Auschwitz-Birkenau was the gassing of the sick prisoners. On August 29, 1942, there were 746 prisoners from the Birkenau camp hospital who were gassed. 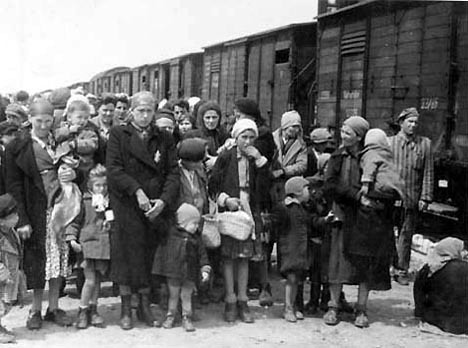 In 1981, the West German Prosecutor’s Office issued a warrant for the arrest of Dr. Josef Mengele for his crime of sending 507 Gypsy men and 528 Gypsy women to the gas chamber on May 25, 1943 because they were suspected of being infected with typhus. Dr. Mengele had died in 1979 in Brazil, but his death had been kept secret by his family. 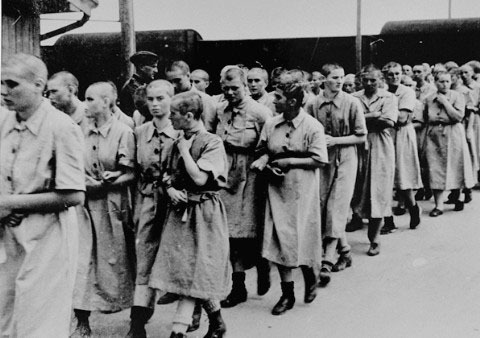 The photo above shows Hungarian women walking into the women’s section on the south side of the Auschwitz-Birkenau camp after they have had a shower and a change of clothes. Behind them is a transport train and in the background, on the left, is one of the camp guards. The woman with dark hair in the center of the photo is Ella Hart Gutmann who is in the outside row facing inward. Next to her is Lida Hausler Leibovics; both women were from Uzhgorod in Hungary. Their heads have been shaved in an attempt to control the lice that spreads typhus. If the SS guard on the left side of the photo above is still alive, he could be put on trial, so that Eva Fahidi can have at least some revenge, after all her years of suffering because of the horror of her 6-week stay at Auschwitz. I wrote about Eva Fahidi on my website scrapbookpages.com. According to a book which she wrote, Holocaust survivor Eva Fahidi was 18 years old when, together with her family in the town of Debrecen, Hungary, she was herded into a cattle car headed to the Birkenau death camp. Her Mother and 11-year-old sister, Gilike, were instantly murdered. Her father bore the hard labour for a few weeks only. Eva spent six weeks in Auschwitz-Birkenau. Then she was shipped with one thousand other women to Allendorf, a slave-labour sub-camp of Buchenwald. Here, the women had to work with harmful chemical agents, “without protective gloves or masks; we inhaled all the dangerous vapour and walked in saltpeter up to our knees,” twelve hours a day, incredibly hard work, “but in comparison with a death camp it was a better option.” Here, being able “to maintain a reasonable hygienic standard; in times of great need being able to help each other,” dignified their lives and contributed to survival. What horror did Eva suffer during her SIX WEEK stay at Auschwitz-Birkenau, which has made her so bitter and so eager to want to see SS men put on trial at the age of 90? If the SS man in the photo above is still alive, he could be put on trial as a war criminal, so that Eva and other survivors can now have some revenge. Maybe it would help if Eva and other survivors, who had to spend 6 whole weeks at Birkenau, knew why they were sent to this camp before being sent on to another camp to work. The town of Auschwitz had the largest railroad hub in Europe. All the trains in Europe could go into and out of the railroad yard in the town of Auschwitz. That’s why a transit camp was set up at Auschwitz-Birkenau, which was also a death camp for thousands of prisoners who were brought there on trains from all over Europe. The Jews, who were capable of working, were sent to Auschwitz-Birkenau and given a shower and a shave (of their hair) before being sent, on another train, to another camp to work. The Jews who were too young or too old to work were sent to the hundreds of barracks buildings in the 425 acre Auschwitz-Birkenau camp — where they were never seen again. Obviously, they were gassed. What else could have happened to them? I was inspired to write this blog post today when I read a news article in the The Press newspaper. Today’s news article in The Press has all the lies correct information about Auschwitz, which you will need to know if you want to write about the Auschwitz death camp. 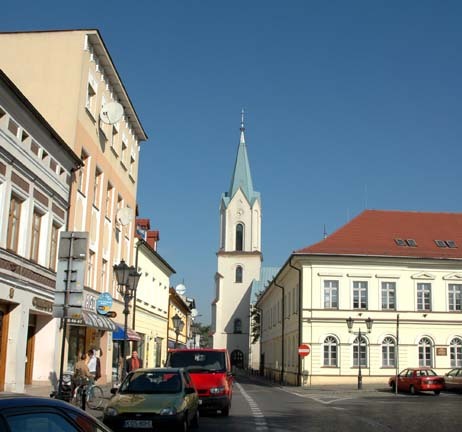 The town was originally named Auschwitz Oświęcim and it was originally a town in Germany Poland. If anyone tells you about a book entitled Auschwitz, 1270 to the Present, just ignore this; the information in this book is obviously a lie, even though the two co-authors are both Jewish. 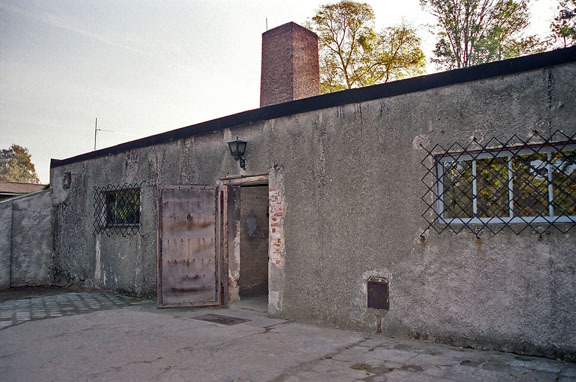 My 1998 photo above shows that the building, where the gas chamber was located, was originally built to hold ammunition. The building was not underground; dirt was mounded up around the building. 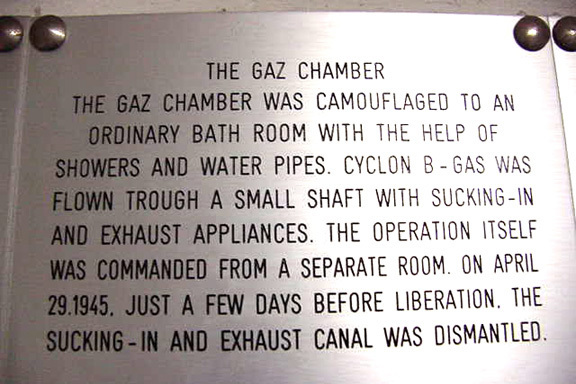 I interpret this to mean that there were multiple gas chambers in the main Auschwitz camp. ”The preparation of an exhibition which is modern, accessible and at the same time tells the history of Auschwitz in a wise and balanced way, will be a key educational tool in providing future generations of Poles with a proper understanding of what the Auschwitz-Birkenau concentration camp was,” the minister said. Owing to the need to carry out extensive renovation work at the former death camp, the changes will be staggered over a period of 11 years. The new exhibition will spread across six blocks of the Auschwitz I camp, and it will be divided into three parts. The first section will focus on the German perpetrators, and the organisation of the camp, as well how the site was converted into a place of extermination with gas chambers. The second section will explore the Holocaust from the perspective of the victims, and the third will focus on prisoners of all nationalities. Or could it be that the disinfection chambers at Auschwitz-Birkenau, shown in the photo above, are going to be opened up to visitors. 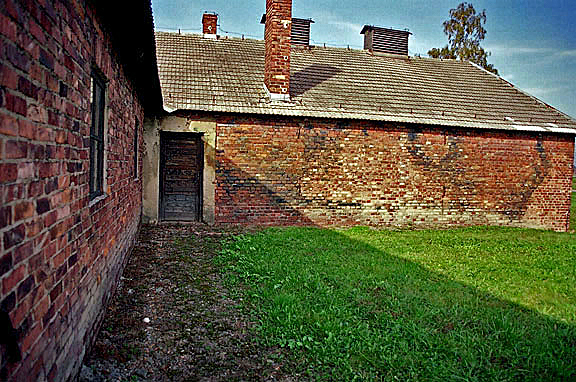 On my two visits to Auschwitz-Birkeanau in 1998 and 2005, these buildings, where clothing was disinfected, were not open to tourists. The photo below accompanies the article. 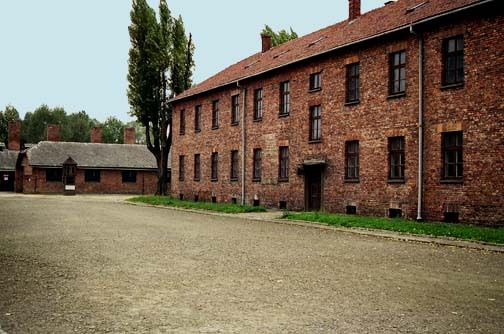 This photo shows two blocks in the Auschwitz 1 camp. I interpreted the photo above to mean that new exhibits will be put in these two buildings in the Auschwitz main camp. Have more gas chambers been found in the main camp?